How can we be persuaded to buy a product or service? What makes us decide to give our money or support to a cause? 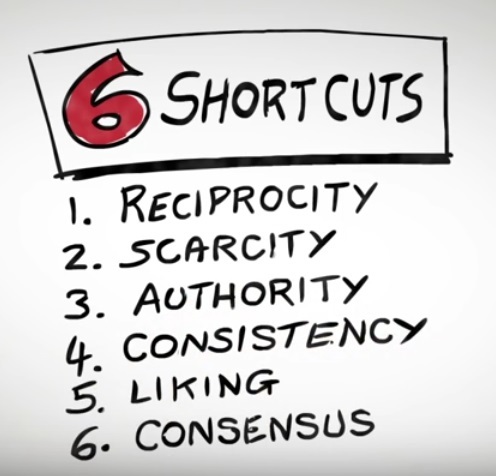 In this animated video from Youtube, you will learn about the six universal principles of persuasion, as defined by social psychologist Dr Robert Cialdini in his book "Influence". Video time: 11 minutes 50 seconds. Activity time: 30 minutes to 1 hour. - the meaning of each of the six "shortcuts"
2 Now match each of these sentences with one of the six shortcuts. (NB. There are two sentences for each one.) Watch the video again to check if necessary. 3 Do you use any of these techniques yourself? Do they work when somebody uses them on you? The answers to Exercises 1 and 2 are at the bottom of this page. 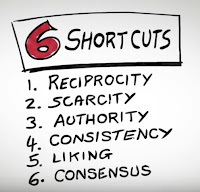 Reciprocity: If somebody gives us something, we feel we have to give something in return. The waiter who gave customers one or two small mints received a larger tip. Scarcity: We are more likely to buy something if we think there will soon be no more left. Sales of tickets on the Concorde increased dramatically when they announced the end of the service. Authority: We are more likely to buy from a person who is a recognized expert. 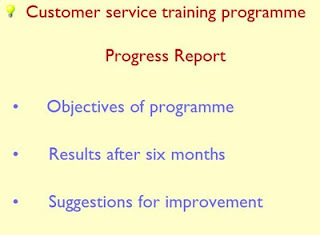 An estate agent had more success when the receptionist told callers about the qualifications and experience of the staff. Consistency: When me make a commitment to an idea we don't want to change it. People who first agreed to put a small "Drive safely" message in their window were more likely to agree to a similar big billboard in their garden 10 days later. Liking: We buy from people we like. Negotiations work better if they begin with social talk. Consensus: We want our behaviour to be the same as other people. In a hotel, guests were more likely to reuse their towels if they knew that other people in their room had done the same.